We stayed at La Luna Studios & Apartments and we loved it. The hotel is part of Thomson’s Small & Friendly range and it was definitely both of those. The pool area was high end Ibiza-style with water right to the top and the view over Troulos beach was incredible. We arrived at dusk and I immediately fell in love. 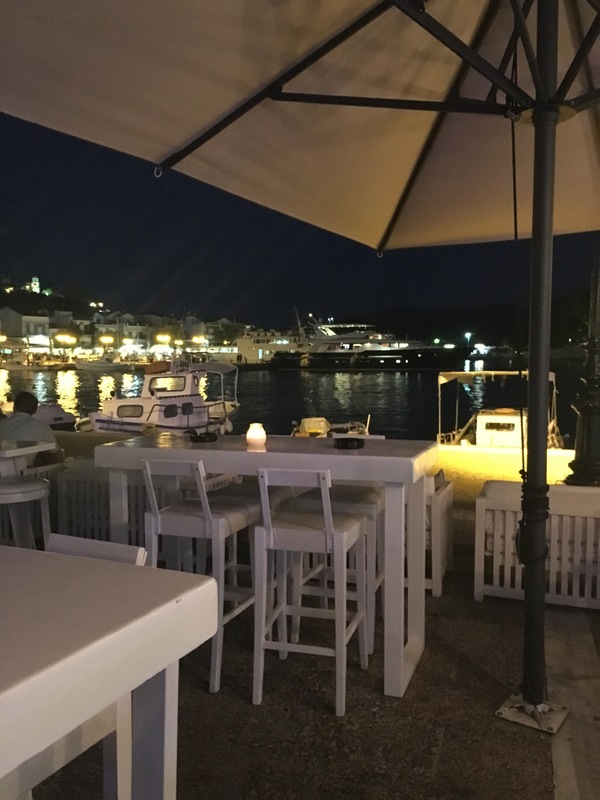 In fact, anywhere near the harbour in Skiathos Town is beautiful, particularly at night time. We went to Marilyn’s for a cocktail on my cousin’s hen do and luckily we arrived during happy hour where cocktails and glasses of champagne were just 6 euros each! We had a prosecco breakfast at Bourtzi on the morning of the wedding. It’s set high on the hillside and the views across the crystal clear seas are just stunning. The bathroom is also one of the best I’ve ever visited – where the sinks are is all open air, so you can take advantage of the beautiful scenery whilst you’re washing your hands. 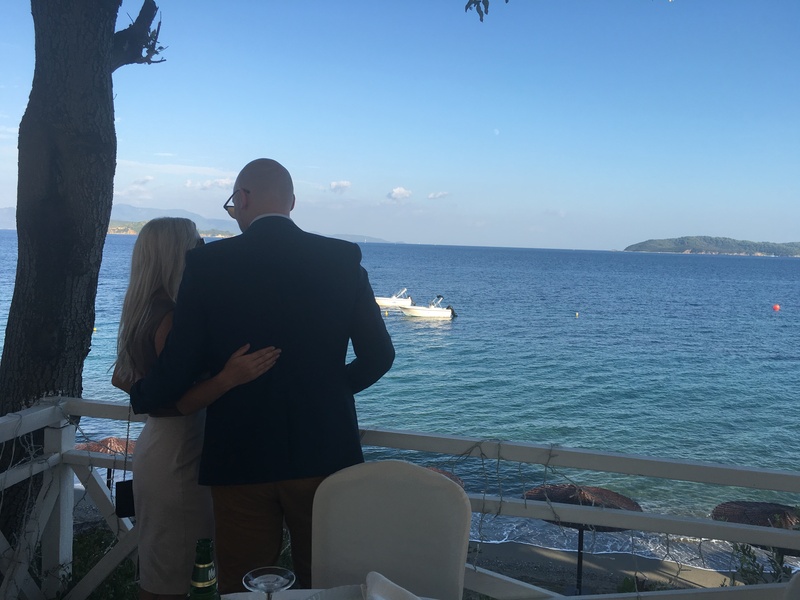 The venue of the wedding was the lovely 5 star hotel Kassandra Bay Resort and Spa and from the deck where the reception took place was this lovely view out to sea. I couldn’t think of a better place to say your vows! 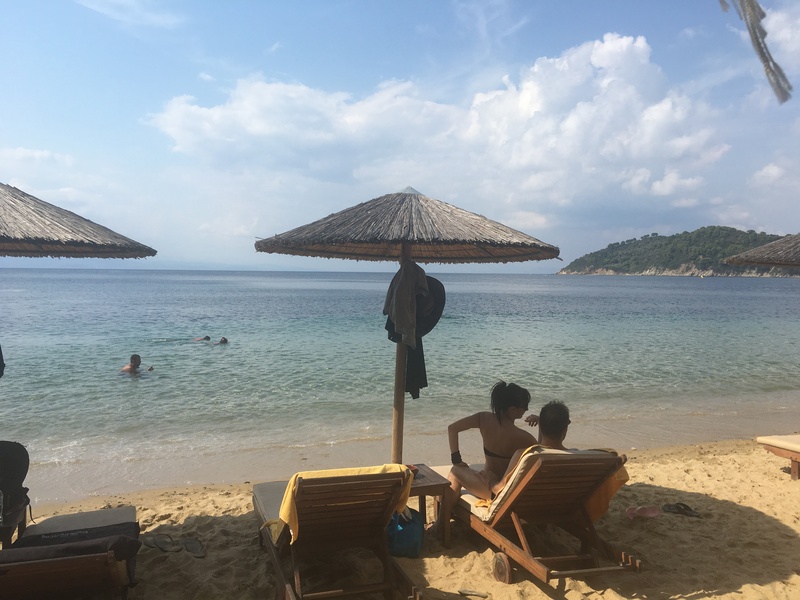 We stumbled across this tiny beach while exploring one day and I think it belonged to the Skiathos Palace Hotel. It was quiet, picturesque and had a little beach bar – perfect for a sunbathe and a dip. 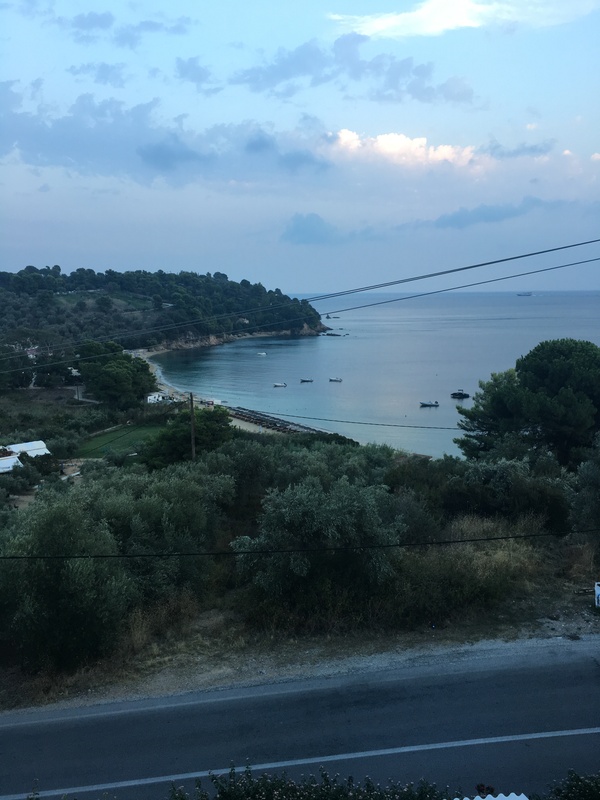 There is a bus route than runs through the main part of Skiathos so one day we decided to explore by walking along it. We rounded a corner and were rewarded with this beaut. 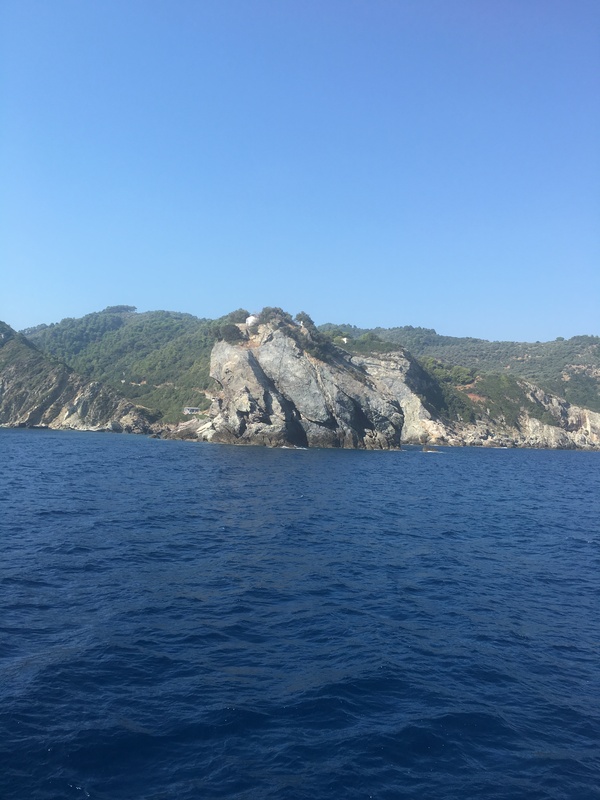 We went on a boat trip to the island of Skopelos where Mamma Mia was famously filmed. This smaller nearby island has a gorgeous harbour and lots of rocky unspoiled landscapes and the best views come from the boat.